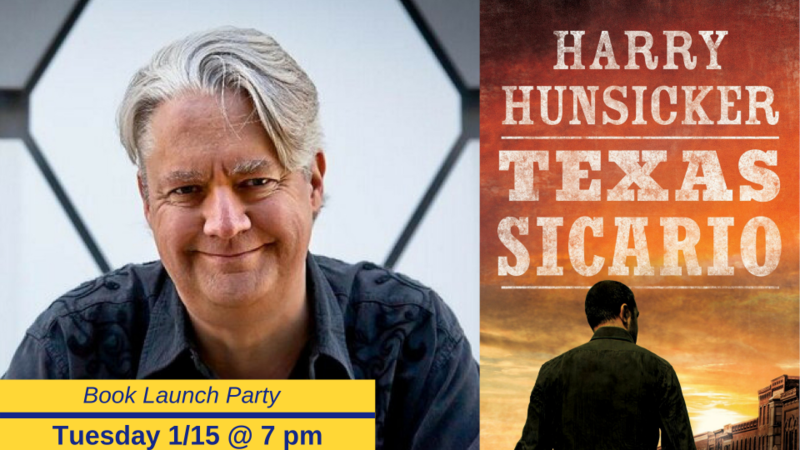 Join Interabang Books for a special Release Party celebrating this new exciting book! Still mourning the murders of his wife and children, former Texas Ranger Arlo Baines now works security at a bazaar in Dallas. Grief-stricken, he’s invested his heart and hope in the welfare of Miguel--a street kid who’s become his surrogate son. But the wounds of a brutal past are hard to heal, especially when a new case threatens to rip them open all over again. Approached by a colleague now working for the DEA to investigate the seemingly random murders of prominent Latino businessmen, Arlo works to expose the common link: an ultraviolent drug cartel pushing into northern Texas. As the vicious power struggle between the gangs turns the streets of Dallas into a war zone, Arlo’s investigation threatens everything he loves. When grief, anger, and secrets stretch the bonds of loyalty to their breaking point, Arlo can trust no one--but must risk everything to protect what remains.